In May, The International Wine of the Month Club’s Premier Series is proud to offer four superlative wines from four countries on three continents. The first in this superlative series is the 2014 Fore Family Vineyards Napa Valley Merlot from the Meister Vineyard. 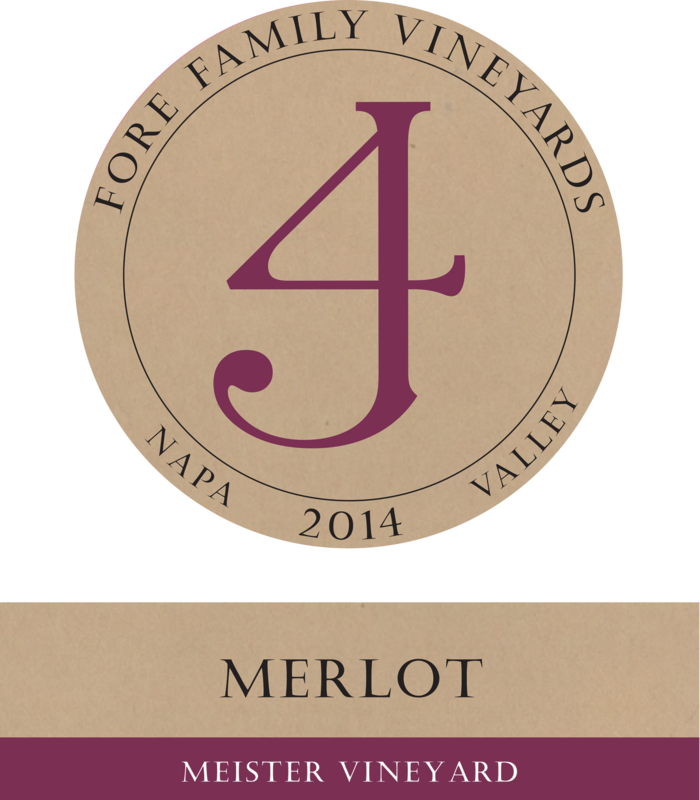 With Fore Family’s Merlot, put aside any preconceived notions about Merlot being a light, less than stalwart companion to Cabernet. In Fore Family’s 2014 Meister Vineyard Merlot, a deep, nearly impenetrable color underscores the wine’s hearty structure and extroverted personality. Ripe firm tannins underpin layers of rich cassis fruit, hints of tobacco leaf, and cacao in the nose and flavor profile of this wine, calling to mind the finest Merlot based wines of Bordeaux’s legendary St. Emilion appellation. This is a wine destined to age well for up to a decade or more. Our next Premier Series feature is the 2016 Tenuta Le Calcinaie Vernaccia di San Gimignano from the great Simone Santini, who always fashions pure, exemplary Vernaccia di San Gimignano from organic grapes. It appears that Santini’s 2016 Tenuta Le Calcinaie Vernaccia di San Gimignano is not only truly exceptional, it is the finest Le Calcinaie he has produced to date – no mean feat considering the previous vintage, the delicious 2015 Le Calcinaie Vernaccia di San Gimignano, made Wine Spectator’s Top 100 List. Nevertheless, in 2016, Santini has again raised the bar on Vernaccia, Tuscany’s emblematic white grape variety. Rare among Tuscan white wines for its flavor, freshness, and longevity, Vernaccia di San Gimignano owes its 800 year reign as the region’s most lauded white wine to the predominance of the relatively rare Vernaccia clones that thrive in the environs of San Gimignano. The 2016 Tenuta Le Calcinaie Vernaccia di San Gimignano, produced from 100% Vernaccia di San Gimignano from Simone Santini’s estate, cuts a fine figure in the glass; a glint of gold, a hint of the soft green of the magical Tuscan landscape, and a golden yellow glow reminiscent of the Tuscan sun give this wine real eye appeal. Better still, this wine is pure, aromatic, and seductive on the palate. The 2016 Le Calcinaie Vernaccia di San Gimignano offers up a refreshing draught of fruit, soft scents of almond blossom, subtle mineral tones, and twists of ripe citrus and raw almond that add length and vibrancy from the first sip until the last. Next in this month’s exciting quartet is Ernesto Catena’s biodynamically produced 2014 Tikal Natural from organic grapes, a masterful blend of Malbec (60%) and Syrah (40%). Tikal’s 2014 Natural from a vineyard in Mendoza’s renowned Vista Flores region adds further evidence to Argentina’s ability to craft world-class red wines that do not require bank loans to enjoy. A more natural, plush, and thoroughly satisfying red wine will be hard to find as the 2014 Tikal Natural captures the essence of biodynamic farming. 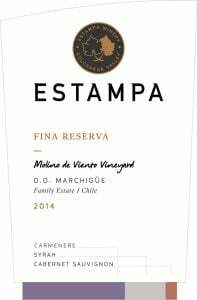 It offers a stunning pomegranate color, fresh cherry and wild raspberry aromas as well as a hedonistic array of fruit, spice, mocha and vanilla flavors to tantalize the palate. Bold-flavored, smooth and immensely satisfying, it may be difficult to drink other red wines after tasting the 2014 Tikal Natural. Rounding out this month’s diverse offerings is the newly released 2016 Château Ducasse Graves Blanc, a traditional style white Bordeaux that underscores the success of white Graves in the superb 2016 Bordeaux vintage. This youthful white wine displays a brilliant crystalline color with a flash of green along with a delightful array of floral and fruit aromas to entice the nose. Dry, yet rich in flavor and texture, thanks to the preponderance of Semillon in the blend, the 2016 Château Ducasse Graves Blanc underscores the charm of Bordeaux’s most revered white wine. With Semillon the leading player and Sauvignon Blanc playing a strong supporting role, the 2016 Château Ducasse Graves Blanc captures the inherent beauty of white Graves: delicacy, minerality, and light, refreshing fruit flavors reminiscent of honeydew melon and pomelo. In true Graves fashion, the 2016 Château Ducasse Graves Blanc drinks well now but will continue to improve in bottle for several more years. 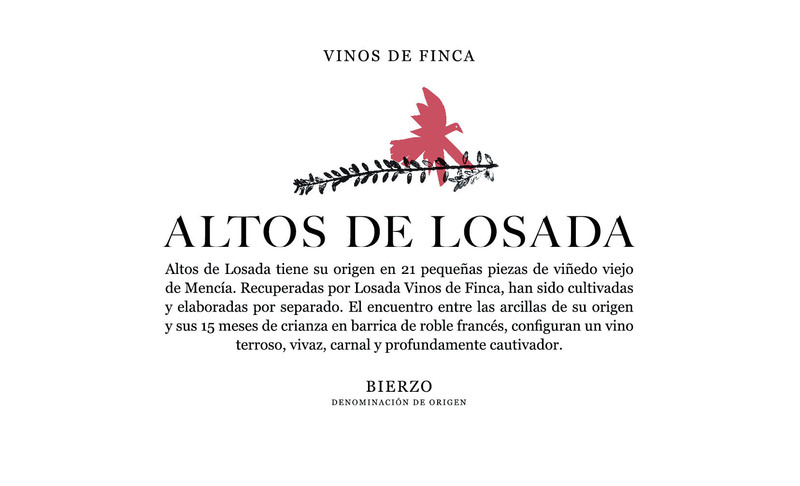 The International Wine of the Month Club’s Collectors Series is proud to offer three exceptional wines again in May, beginning with the 2015 Losada Altos de Losada Bierzo Mencia. 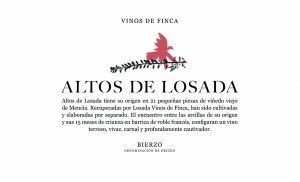 Thanks to ideal weather in 2015 and Amancio Fernández’s deft hand, the 2015 Losada Altos de Losada Bierzo Mencia ranks as another great success from this superb property. The 2015 Altos de Losada offers a deep purple robe and an alluring set of aromatics. 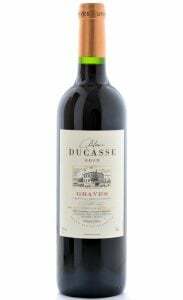 Savory notes of blueberry, black cherry, purple plum, and Asian spices caress the nose and grace the palate. Bold but balanced, Amancio Fernández’s 2015 Mencia offers lush flavors, profound depth, and true elegance from the first sip until the last. 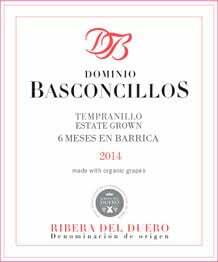 The wine’s pure, concentrated fruit flavors seem to sink into the very marrow of this wine, while intriguing spice tones and a subtle minerality are carried gracefully by the wine’s fine grained tannins. Although deceptively drinkable now, the 2015 Losada Altos de Losada is capable of improving in bottle for a decade or more. The recipient of many well-deserved 90+ ratings from James Suckling, Wine Advocate, and Wine Enthusiast among others, the 2015 Losada Altos de Losada deserves a special place at table as well as in the cellar. Our next May Collectors Series offering, the 2015 Morgan Highlands Santa Lucia Highlands Chardonnay, is a focused, elegant wine that combines the finest attributes of New and Old World winemaking, or as one panel member quipped, “Morgan has put the best of Burgundy and California all in the same glass.” The 2015 Highlands Chardonnay includes 67% fruit from the Double L Vineyard and the balance from outstanding neighboring estates in the Santa Lucia Highlands, including McIntyre and Tondre. It offers a heady aroma of ripe apple fruit, buttered brioche and lemon curd to caress the nose. And in the mouth, the wine’s ripe pure fruit flavors are enhanced by buttery caramel flavors, a touch of ginger, and a racy minerality that provides balance and focus. Completing this month’s Collectors Series is the rare 2012 Pasanau Finca La Planeta from the serious, warm-hearted Albert Pasanau. Pasanau has fashioned an exceptional and complex Priorat in his 2012 Finca La Planeta, a wine that has earned 94 Points from Wine Enthusiast. Exhibiting a deep, nearly impenetrable color from predominantly Cabernet Sauvignon, the 2012 Pasanau Finca La Planeta appears at first glance to be more like young classified Bordeaux than typical Priorat. Adding to the intrigue is the wine’s bouquet, which is more than slightly reminiscent of Château Lafite, with deep, brooding black fruit flavors and hints of graphite. In true Pasanau fashion and not unlike great Bordeaux, the 2012 Finca La Planeta is bold and beautiful, yet a bit reticent upon first emerging from the bottle. Afford it time to breathe and the wine’s deep berry, spicy plum, graphite, thyme, and crushed black pepper flavors will come front and center, unfolding slowly, almost imperceptibly, to fill the mouth with seductive notes. Full-bodied, intense, and endowed with an iron core, Finca La Planeta is a combination of Bordeaux hauteur and Spanish warmth, a wine that will drink well now through 2025.